Comprehensive knowledge of the Sarasota area real estate market, strong business skills and an affinity for luxury properties have established Joel among the top 1% of realtors in the Sarasota area. He takes great pride in having marketed and successfully sold many of the Area’s most interesting properties – at all price points. After a professional career as an attorney and tax consultant both in Chicago and in Europe, Joel and his family moved permanently to the area in 2003. He could not think of a better place to live and raise a family. 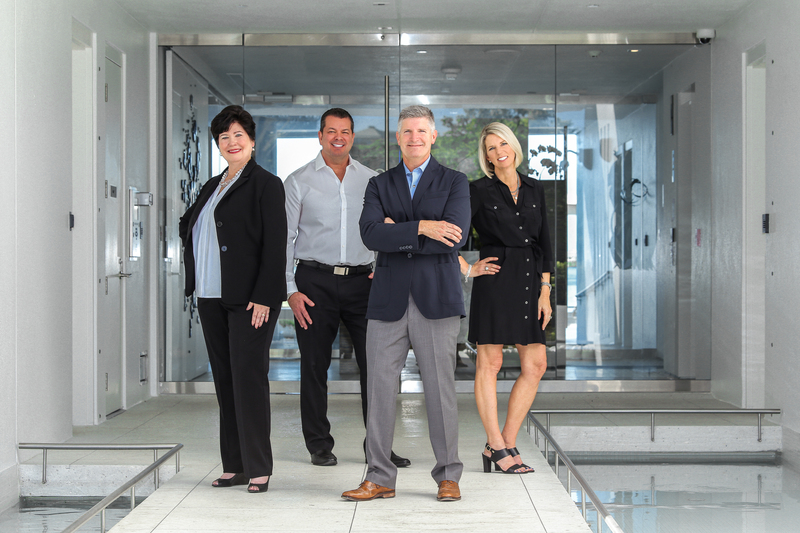 Joel and his team at the Schemmel Group are well known in the real estate industry and have set several sales records in addition to being the top producing team with the Sotheby’s affiliate in Sarasota every year since 2008. Professional backgrounds, innovation, market knowledge, and persistence are the primary elements of their success. Joel’s career also encompasses more than fifteen years working with Arthur Andersen, Andersen Legal, and the Ernst & Young Law Alliance both in the USA and Europe. Joel was an International Partner within each of these organizations and immediately before returning to the USA, was managing partner of a 45-attorney law firm based in Central Europe. Joel obtained his law degree from Chicago Kent College of Law and his accounting degree from the University of Iowa. He is a registered attorney in Florida and Illinois and is a certificated C.P.A. in the state of Illinois. The Schemmels raised three boys Jack, Jamie and Jacob in the Sarasota area and are adapting to their new empty nester lifestyle. The Schemmels love skiing out west and their international experience brings with it an affinity for travel and other cultures. Sharon Chiodi possesses a genuine passion for real estate and assisting clients with the home buying and selling processes. She is a Five Star Real Estate Award Recipient for the past 5 years. A resident of Sarasota since 1997, she has in-depth community and local market knowledge. Sharon began working in the real estate business as a client service representative, which created the opportunity to work with the Schemmel Group. The team’s success is built upon their trademark of providing the ultimate service experience to clients. Sharon graduated from Chestnut Hill College with a bachelor’s degree in Economics. She moved to Sarasota from Cherry Hill, New Jersey, after many years of traveling to Sarasota for family vacations. Previous to her extensive real estate career, she has 27 years of marketing, sales, client relations, and financial consulting experience, having worked for Hunt Manufacturing, XL/ Data Comp Inc., Anderson Consulting and ADT Security Services. She has the business acumen for strategically outside-the-box problem-solving, essential to creating a positive experience and desired outcome for her buying and selling clients. Sharon is a wife and mother who shares a dedicated commitment to community service with her family. She believes in the Sarasota County community as a special home, a year-round vacation paradise and an excellent investment. Her love of the area and extraordinary people skills are the right combination for creating results and loyal clients. Above all, Sharon takes great pride in working tirelessly and enthusiastically to ensure her clients’ best interests are being met. Bringing to the team a strong background in project management, Todd Underwood adds his skills and talents to the Schemmel Group. Todd graduated from Ohio University with a degree in Liberal Arts and Business Management. A real estate agent since 2005, Todd has been focusing on the “behind the scenes” customer service side of the industry, assisting with the set up and delivery of a smooth transaction for both buyers and sellers. With an extensive background in sales and retail management Todd excels in overseeing and coordinating inspections, repairs, maintenance work, as well as staging, photography and events for property listings. Todd’s strong organizational skills, grasp of technology and creative mindset are an asset to the Schemmel Group. A resident of Sarasota since 1989, Todd has a great understanding and appreciation of the Suncoast community, and is an active member of the Sarasota Association of Realtors. As Regional Marketing Director for Premier Sotheby’s International Realty through October 2013, Toni was responsible for overseeing the firm’s marketing efforts, which included brand management, development of collateral materials, directing the creative content and placement of all advertising and maintaining vendor relationships. Before relocating to Sarasota, Toni was in Europe working as a controller in Sofia, Bulgaria for Sprint and in Prague, Czech Republic for KPMG, the International audit and consulting firm. While in Bulgaria, she also was recruited to the position of adjunct professor at the American University in Bulgaria. Toni holds an MBA in marketing from Loyola University Chicago and a Bachelor of Science degree in accounting from Bradley University in Peoria, Ill. In addition to her real estate license, she holds an Illinois Certified Public Accounting Certificate. As well as being a proud mom of three boys, Toni is actively involved with the local community. She is currently on the Executive Board and a Founding Member of Impact100 SRQ and has been Co-President of the Riverview IB Parent Organization for two years and on the Sarasota Cotillion Board for three years, including the Executive Board as Treasurer and Vice-President of Communications.